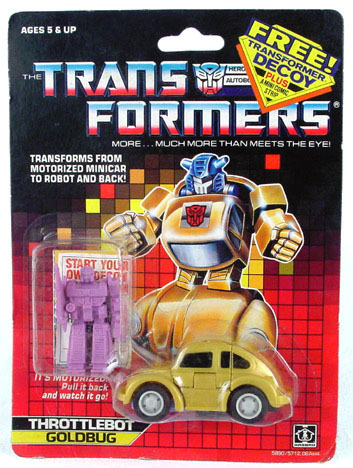 In the late mid-80s Transformers were starting to wane in popularity. Our interests were fading as our initial attention started to shift away from toys and towards other things such as video games and girls. 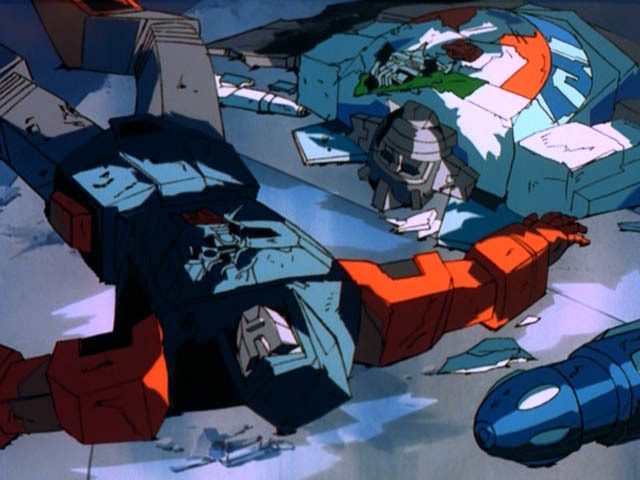 Hasbro knew it has to do something to revitalize the franchise and get young boys to once again become interested in a toyline that killed off most of our favorite characters a year earlier in Transformers: The Movie. 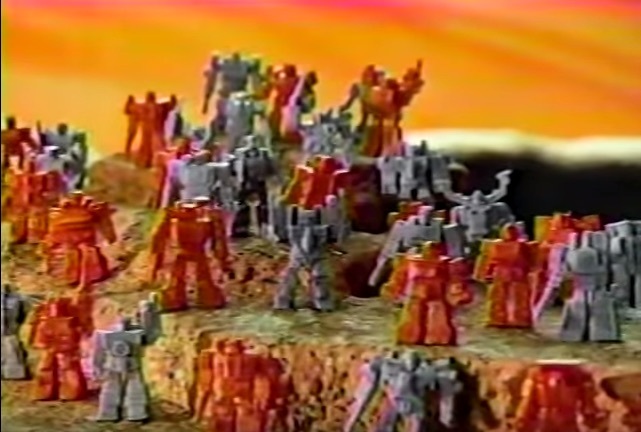 Then one day after school, as we were thinking of that wonderful new Nintendo Entertainment System we wish we had, this Transformers commercial hit us like a ton of bricks. Did you see that? I’m not talking about those Duocons or the Throttlebots (those things sucked and we knew it). I’m talking about those Transformers Decoys! That tiny two second clip of all those tiny rubber Transformers excited us in a way Transformers haven’t in almost a year. But why? They were just tiny red and purple rubber toys. Surely these things were just another disposable giveaways one could just as easily find in a McDonald’s Happy Meal. First off, they were based off the ORIGINAL Transformers from season 1. As much as we liked Rodimus Prime, Galvatron, and Ultra Magnus, they just weren’t anywhere near as great as Optimus Prime, Megatron, Starscream, or Bumblebee. 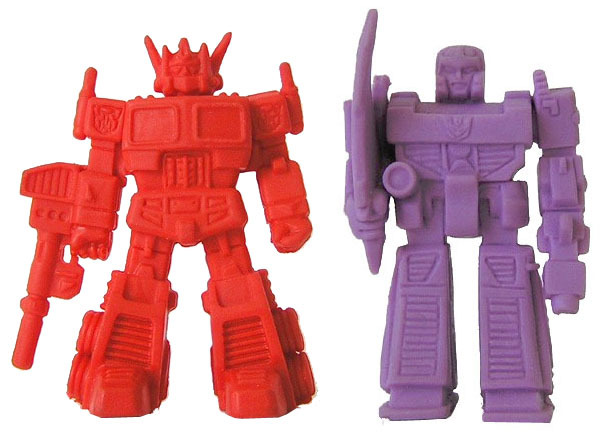 We missed the original robots, and these little rubber toys reminded us of how much we loved those characters! The second bit that caught our attention was that one key word in the commercial: “Collect”. It wasn’t enough to simply get them, we had to COLLECT them. That one word turned these figures into a treasure that we needed to find. But of course it wasn’t going to be easy. In the US, you couldn’t just walk into a store and buy these Transformer Decoys, you had to buy a regular Transformer in order to get the Decoy that came with it. These made certain figures much harder to find, because you had to sift through every Transformer on the peg just to find the one Decoy you needed. And sometimes they came with a Transformer you didn’t even want, or worse, already had! The difficulty in getting these decoys made them more desirable, and because of that we were willing to throw logic out the window and pick certain Transformers just to get the “free” rubber toy that came with it. Were the Transformers Decoys a success? I honestly don’t know. But for a brief moment these things WERE the only reason to buy Transformers. Hasbro was ahead of the curve on tapping into the still undiscovered geek mentality by using two things we cherished the most: nostalgia and a collectibility! One Response to "Transformers Decoys"
Collectibles sell. I don’t remember these growing up.